Here is a fun little mini F-16 Fighting Falcon EDF jet made of EPO foam and ready to fly right out of the box. Scale looking, this mini jet looks extremely well made for its size. An excellent parkflyer EDF foamie made from well moulded and crash resistant (EPO) foam. 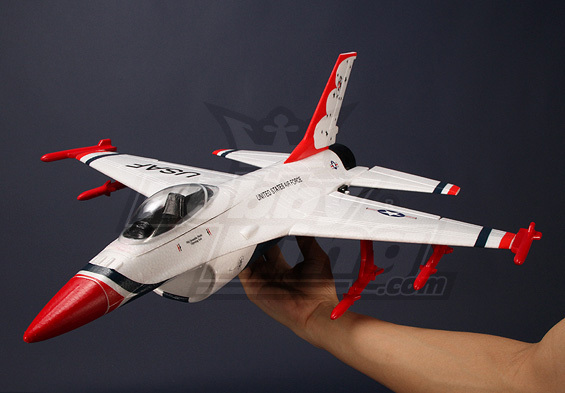 The F-16 EDF jet comes plug and fly ready right out of the box and will take you around 45 minutes to set up. Included is a 20A ESC and small yet powerful 50mm brushless ducted fan system, plus all servos are pre installed so all you only need to add is your own receiver to complete this model. 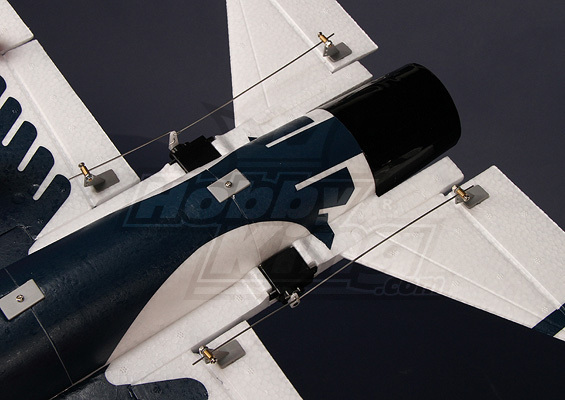 Also included is a 3S lipo battery and optional landing gear. All you need is your own receiver and transmitter to get this beauty up in the air.